3 Detect events that occur in SurveyMonkey such as contact or collector created or survey submitted by a respondent. 3 Execute actions against SurveyMonkey such as create contact, contact group, or collector. 3 Select from a catalog of public recipes that can be used immediately or customized to your specific business requirements. 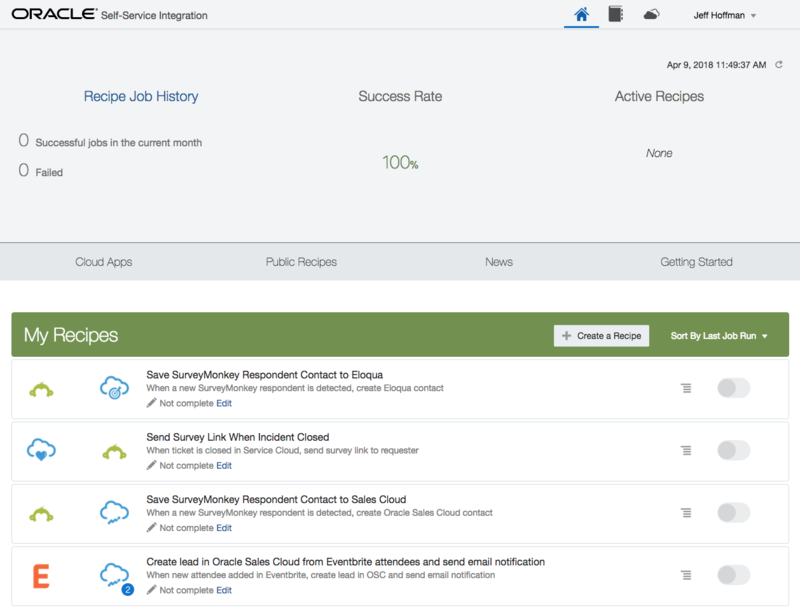 Oracle Self-Service Integration provides recipe-style automation using triggers and actions with the ability to apply conditionals and looping logic, all done through an intuitive interface designed for the business user. 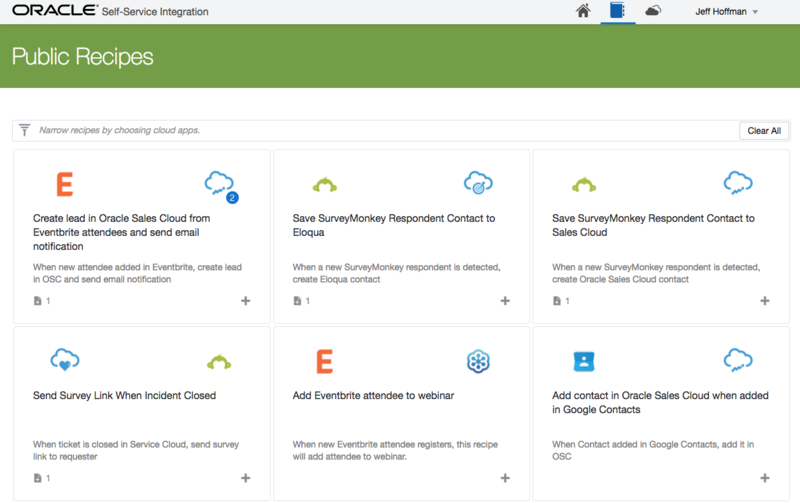 Oracle Self-Service Integration offers a number of triggers that detect events in SurveyMonkey or actions that execute commands on SurveyMonkey, allowing the business user to create automation around SurveyMonkey. Explore our catalog of pre-built recipes with SurveyMonkey or create a whole new recipe suited to your exact needs. Detect when a survey has been created. Detect when a collector has been created. Detect when a collector has been closed. Detect when a response has been submitted. Detect when a survey has been completed and retrieve response detail. Universal Credit Services plan charges by a pay-as-you-go consumption model using Oracle Self-Service Integration recipe job execution as the metric that is metered.